At Melbourne Hand Rehab we understand the impact that arthritis in the hand or wrist can have on your life. We also understand that as an individual, your day to day activities and goals are unique to you. 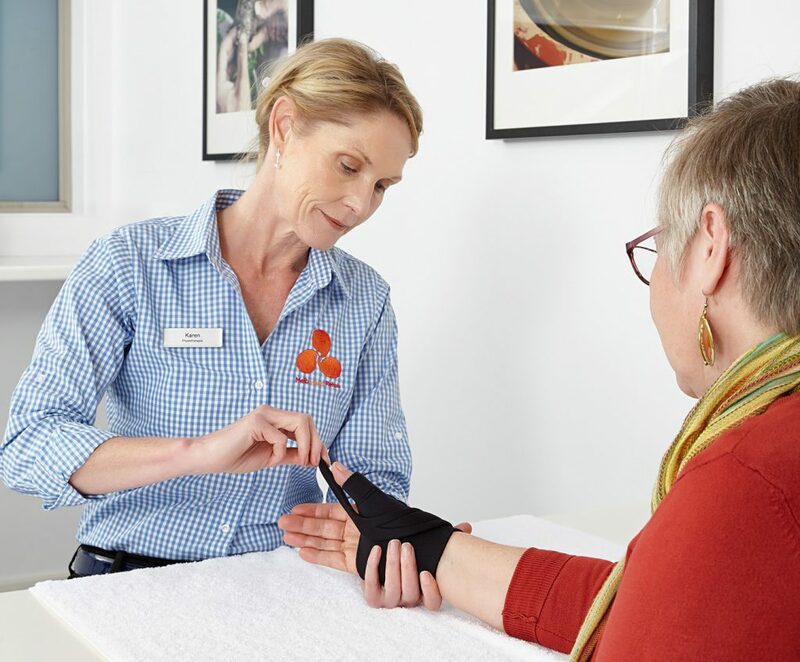 In your first session, your hand therapist will perform a thorough assessment of arthritis in your hands and wrists and discuss the requirements of your day to day life. He or she will also treat your pain symptoms. Your hands will be warmed in a wax bath and your hand therapist will massage your hands and forearms to release tension and pain from the area. This initial treatment will probably result in a reduction of your arthritis-related pain. Your sessions may also include some form of bracing using leather, plastic or neoprene supports or gloves for specific times and activities. You will also receive a simple home exercise program to follow which will help you to maximise the range of movement in your hands. Continuous treatment is generally not needed for arthritis. Instead, we recommend regular visits at six weekly intervals. How long will my hand arthritis appointment take? Your appointment will take 20 minutes per hand (40 minutes for both). Please make sure that you are given the correct amount of time when you book each appointment.